Welcome to my news page! Here is where I'll share the latest about me, upcoming local events and support groups, and breastfeeding in the news! Your Las Vegas La Leche League Leaders are listed below. Please call on them for meeting times and locations in your area. FREE Mother to Mother Breastfeeding Support! Becoming a mother and forming a family is an exciting time in your life. It's full of joy and discovery, but can at times be overwhelming and even isolating. WRM acts as a community hub for new moms. 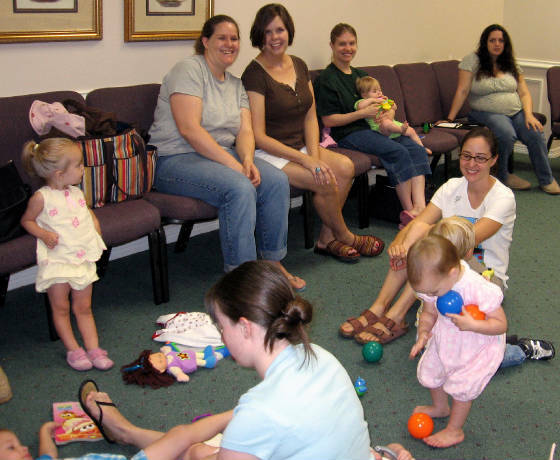 We invite you to come meet other new and expectant parents in one of our Momma‘s Circle’s. You'll feel welcome in our comfortable, relaxing, and supportive setting in which you can swap stories, ask questions, and find support on a weekly basis. Discussions range from parenting styles to sleep and feeding challenges, and always promise plenty of laughter along the way. Pre-registration is not necessary, as classes are offered on a drop-in basis. New babies and crawling babies are welcome. Parents and babies are invited to stay after the groups to enjoy each other's company as you build your community.